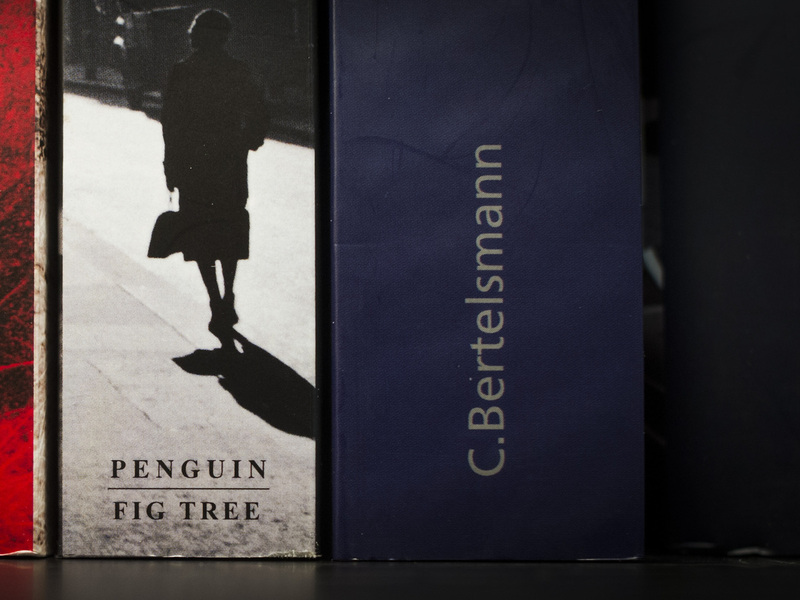 Penguin, Random House Announce Merger : The Two-Way German media company Bertelsmann will own 53 percent of the new firm, Penguin Random House; Pearson, which owns Penguin, will control the rest. The merger, subject to regulatory approval, is scheduled to be completed in the second half of 2013. Bertelsmann and Pearson announced Monday that they were merging their book publishing arms, Random House and Penguin. The new firm will be called Penguin Random House. There's big news in the world of publishing: The two conglomerates that own Random House and Penguin announced Monday that they were merging their book businesses to form a new company. German media company Bertelsmann, the owner of Random House, will own 53 percent of the new firm, Penguin Random House; Pearson, which owns Penguin, will control the rest. The merger, subject to regulatory approval, is scheduled to be completed in the second half of 2013. Writers like George Orwell, Salman Rushdie and E.L. James, the author of Fifty Shades of Gray, are now under the same corporate roof. In a statement, Thomas Rabe, Bertelsmann's chairman and CEO, said the merger could ensure the firm's future in the digital publishing realm. "The combination of Random House and Penguin, first of all, significantly strengthens book publishing, one of our core businesses. Second, it advances the digital transformation on an even greater scale, and third, it increases our presence in the target growth markets Brazil, India and China." Marjorie Scardino, chief executive of Pearson, said the deal would allow both companies to share costs. It will allow the companies "to invest more for their author and reader constituencies and to be more adventurous in trying new models in this exciting, fast-moving world of digital books and digital readers," she said. "The hope is that combining these two publishing powerhouses into one company will make easier to cope with the increasing popularity of ebooks which can be bought at a much lower price than print books." Dohle will be CEO of the new group when the deal is finalized. John Makinson, Chairman and CEO of Penguin, will become chairman of the board of directors. "The announcement may also lay to rest the ambition of Rupert Murdoch's News Corp. of netting Penguin. Reports over the past couple of days have indicated that News Corp. had expressed an interest in buying Penguin for 1 billion pounds ($1.6 billion) in cash. News Corp. owns HarperCollins, another big publishing house."